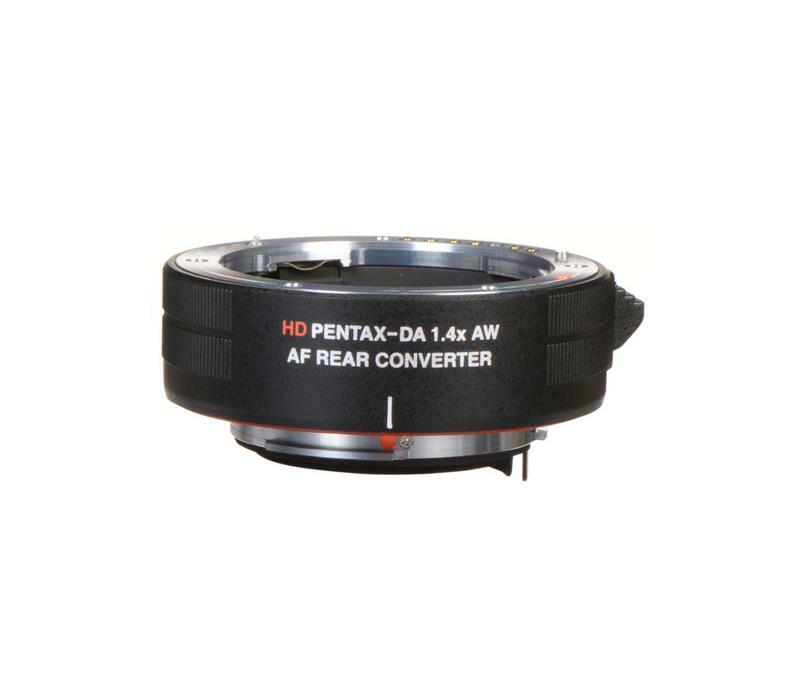 The 1.4x HD PENTAX-DA AF Rear Converter AW from Ricoh is compatible with Pentax KAF2 mount lenses on select DSLR cameras. It mounts between the camera body and lens, and increases the focal length of the lens by 1.4x, while reducing the aperture by 1 f/stop. The minimum focus distance of the lens is preserved, as are auto focus and auto aperture functionality. The rear converter works flawlessly with both the camera-driven AF system and the lens-driven AF system, including that of the SDM and DC-series lenses. The camera's firmware must be updated to the latest version before using the autofocus function. Treated with Pentax's exclusive multi-layer lens coating, which provides high light transmission and low reflectance for sharp, clear images free of flare and ghosting--even under adverse lighting conditions, such as backlighting. Durable, weather-resistant construction protects the converter and the barrels of compatible, weather-sealed lenses. Shoot worry-free in rainy or misty conditions and when subjected to sprays or splashes. Mounts between the camera body and lens and increases lens focal length by 1.4x (40%)--yet has a notably small form factor, measuring only 0.8" and weighing in at just 4.4 oz. This compact size allows you to reach out to distant subjects and capture blur-free shots more easily. 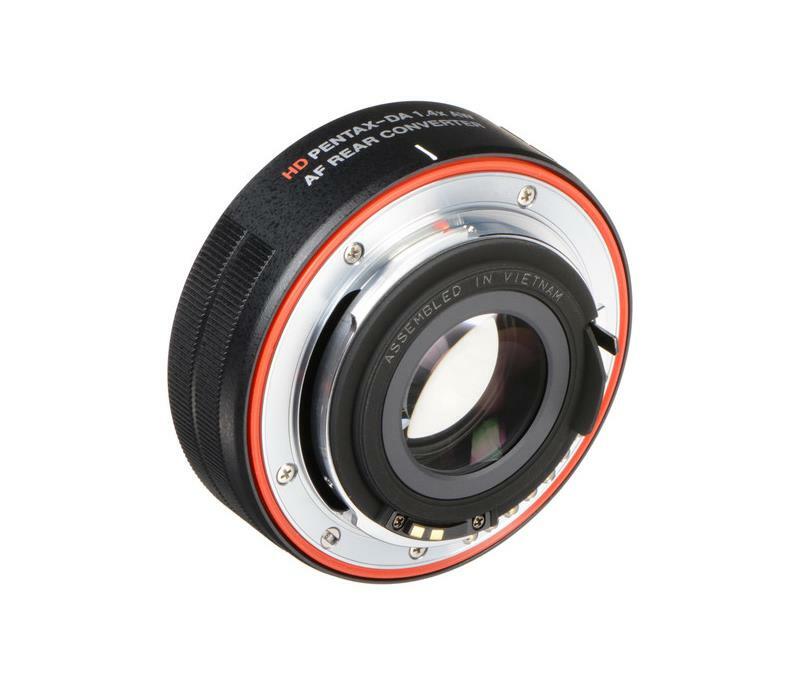 Since the minimum focusing distance of the lens is retained, this converter allows you to get just as close as before--but with greater magnification for more detailed images. 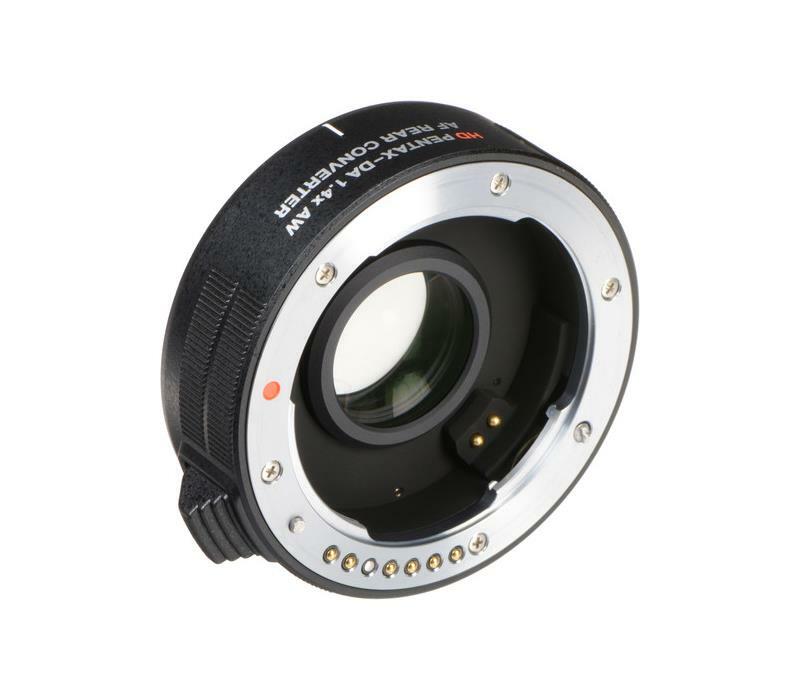 Keep in mind that when the converter is mounted, the lens's maximum aperture will be smaller by 1 f/stop. 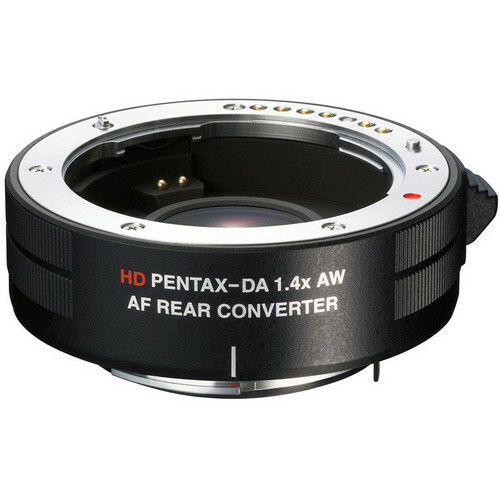 Auto focus and auto aperture functionality retained when using the converter, which works flawlessly with both the camera-driven AF system and the lens-driven AF system, such as that on the SDM and DC-series lenses. The camera's firmware must be updated to the latest version before using the autofocus function. 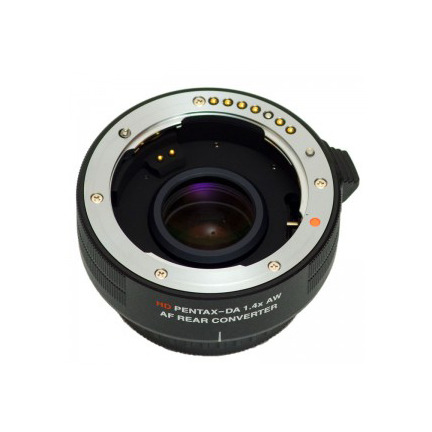 The converter is compatible with Pentax KAF2 mount lenses. Autofocus is possible with lenses featuring a maximum aperture of f/4 or faster. K-3, K-50, K-500, K-30, K-5 II, K-5 II s, K-5, K-01, K-7 and K-r. The DA Limited Soft Case for the HD PENTAX DA and smc PENTAX DA 70mm f/2.4 Limited lenses is supplied. Also included are the Lens Mount Cap K and Body Mount Cap K.